Who Does the ABOC Union Strong Card Appeal to Most? Decision Time: Is the ABOC Union Strong Card Right for You? The popularity of rewards credit cards makes it easy to find many appealing options. If you are looking for the best rewards card that will fit with your lifestyle, then you might be having difficulties narrowing things down. Some cards offer great rewards in one category, but will not work so well with other types of spending. There are credit cards that offer you good general rewards too, but some of those will not have especially lucrative bonus categories. The ABOC Union Strong Credit Card seeks to give customers the best of both worlds. This is a credit card that offers both standard rewards on every purchase and special rewards for bonus categories. It can make this card a particularly useful thing to have in your wallet. The rewards potential of this card is pretty high and it is going to appeal to a pretty wide variety of different people. Before moving forward and applying for this credit card, it makes sense to get a bit more information. Join us as we take a look at everything that this credit card can offer you. You will be able to understand the potential of this credit card in a much deeper way. It will make it easier for you to decide whether or not it is worth it to sign up for this one. 12 month Intro APR offer. A rewards card available to those who have fair credit is rare. Earning 5X per dollar on some categories is unheard of. You will be happy to hear that this rewards card does not have any associated annual fee for you to deal with. This is always good when you can gain access to a potentially lucrative rewards card without the need to pay a large fee. No annual fee means that you do not need to try to earn enough rewards points to offset the cost. It helps you to use this card without having to stress out about anything. There are some fees that you will have to be aware of when using this credit card, though. For instance, this card does have a balance transfer fee of 3% with a minimum of $5.00. The cash advance fee is also set at 3% with the same minimum amount. Overall, this is not too bad as it falls in line with what other similar credit cards are doing. One potential negative is that the ABOC Union Strong will charge you a foreign transaction fee. 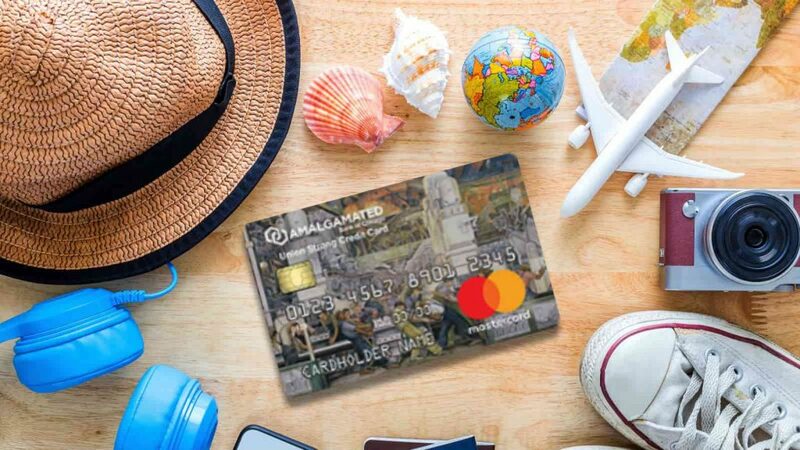 If you use the card to purchase something while you are abroad, then you can expect a 3% fee. This is a normal percentage, but it is still going to be pesky for anyone who travels out of the country regularly. It may wind up being a bit of an annoyance to some, but this will not impact others at all. It just depends on how often you travel outside of the country. You will be able to enjoy a nice introductory APR when you sign up for the ABOC Union Strong card. This helps you to make payments quite easily, as you will not have to be concerned about interest for quite awhile. The introductory APR period lasts for 12 months and it covers both purchases and balance transfers. It is certainly something that will draw some people to this credit card. After the introductory APR period is finished, you will be able to enjoy a very low APR overall. 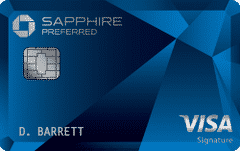 This credit card has a low APR that is going to make it stand out from many other similar credit cards. Most rewards cards have an APR that is several points higher than this one, so it is going to be a very practical option to consider. When you want to keep your debt paid down, it will always be easier to do so with a low APR credit card. For the most part, this credit card has very standard features. This does not mean that it is lacking in any way, but it does not stand out too much in the features department. It will be a rewards credit card that offers you good earning potential. Using the card should always be easy and this is bolstered by the convenient mobile banking options. Managing your account from the mobile banking app is going to be very simple. You just need to download the ABOC Mobile Credit App to get things started. Once you have everything set up properly, you will be able to enjoy a very good experience. You can check your balance, manage payments, and generally access any necessary information from the mobile app. The customer service features are also very good with this credit card. You will be able to reach out at any time by using the mobile app. If you want to reach customer service via telephone, then that will also be an option. The customer service agents are very good and you should have no trouble getting the right assistance whenever you are in need. One final handy feature that you should know about is that late payments will not cause your APR to raise. This is going to prove beneficial if you happen to run into tough times and have to make a payment a little late. Doing so with many other rewards credit cards will cause your APR to skyrocket. This is a very forgiving card, making it just a bit more appealing to anyone who wants an extra layer of safety. You will find several standard benefits that will make your credit card experience even better. When you make purchases with this credit card it can actually extend the warranty of certain items. You can get one extra year of warranty on many products, making it beneficial to buy things with your new rewards card. Keeping things in warranty longer helps you to avoid complications, so this will certainly prove to be useful. Price protection is another great benefit that you should use fairly often. If you buy something and wind up seeing that the price has dropped within 60 days, then you will be able to get a refund for the difference between the two prices. This is great and can wind up saving you a lot of money. It makes you want to purchase things with your credit card for more reasons than simply earning rewards. Aside from price protection, you will also have protection from damage or theft. When you buy things using this credit card, you will have purchase protection insurance that keeps you safe when items become damaged or when they are stolen. This will cover most items and it is very practical to make use of this benefit when you need it the most. It can help you to avoid having to pay to replace something that you just bought after having it stolen. You will also have access to road assistance in the event that your vehicle breaks down on the road. The Master RoadAssist Roadside Services will be able to help you when you break down anywhere in the US. This keeps you a lot safer and allows you to feel more at ease during travel situations. This is a perk that can potentially pay off for you if you go on road trips somewhat often. Perhaps the most interesting part of owning this credit card is going to be the rewards program. This is a credit card that offers you the potential to earn 5X points on certain quarterly categories. Every quarter these categories are going to change and you will be able to earn the bonus on new items. You can earn the 5X bonus points rate on up to $1,500 in combined purchases each quarter. One of the best things about this credit card is that the bonus categories are very practical. You will be able to make use of the bonus categories easier than you would be able to with many other credit cards. One quarter may have a bonus category such as groceries, and another might be automotive purchases. These are all common things that you will be spending your money on anyway, for the most part. Purchases made outside of the bonus categories will allow you to earn one point for every $1.00 that you spend. This allows you to keep on earning rewards even when you have earned the maximum amount from the bonus categories, too. You will always be able to keep racking up those rewards points and it should add up pretty fast. There is no limit to the number of points that you can earn and they do not expire, so you can keep saving them if you wish. Redeeming your rewards is a very straightforward process with this credit card, too. You will be able to choose how you want to redeem your rewards. The options for redemption are statement credit, travel rewards, gift cards, and redeeming points for merchandise. Whatever you choose to do will prove to be very lucrative and helpful to you. The rewards program is definitely what will draw most people toward this credit card. The potential to earn quite a bit of rewards points is going to make signing up very useful. You can earn increased rewards on the bonus categories and then you can keep earning rewards at the 1X rate after that. It is an easy card to use to rack up rewards points. The ABOC Union Strong credit card also has a pretty good sign-up bonus. Being able to earn some money for spending a certain amount within the first three months is always nice. Reaching this spending threshold is not tough either so you will most likely get the sign-up bonus to activate for you. It can make signing up seem even more worthwhile. Good standard benefits help you to have an optimal experience when using your new credit card. Being able to enjoy purchase protection, purchase assurance, and extended warranties will definitely help you out. You can also count on the security and customer service of this credit card to be top notch. It is a fully-featured card that has the benefits that you would expect. Not having to put up with an annual fee is always going to be a positive, too. If you want a rewards card that has a lot of potential, then you will love this one. The fact that it does not have a fee just makes it easier to go ahead and sign up. You will not have to pay out any of your hard-earned money just to have the privilege of being a cardholder. The biggest negative about the card is the foreign transaction fees. For many people, this is going to be a bit of an annoyance. If you travel to other countries for either leisure or business, then this is going to hurt your bottom line. There are credit cards out there that do not have foreign transaction fees, so you may want to look into one of those. It should also be said that there are credit cards that have greater rewards potential than this one. This is a good credit card when you want to earn rewards, but some options may be superior. There is a limit to how much you can earn at the 5X rate when using this credit card. If you do not like having limits placed on you, then you may want to look into another card. Also, the fact that the rewards bonus categories rotate may not appeal to you. If you love being able to earn bonus rewards on automotive purchases, then having that category disappear after three months might not be good for you. The rewards bonus categories are practical, but some people will wish that they could just stay the same throughout the year. It depends on your preferences really. The ABOC Union Strong credit card is going to require a fair to good credit score. If you want to be approved for this card, then you will likely need a score that falls in the high 600's. Other factors, such as income, are going to be considered when you apply for this card as well. Check your credit score ahead of time so that you will know where you stand and you can get a good idea of the likelihood of your approval. This credit card is going to appeal to anyone who wants to earn a good amount of rewards. If you love earning rewards, then you should be pretty interested in this credit card. It has the potential to help you earn many rewards points and taking advantage of the bonus categories is relatively simple. This is a good card for general purchases and will come in handy in many situations. A card such as this is also going to appeal to people who simply need a good everyday credit card. It has a low APR and it will be practical if you need to carry a balance. Having access to this credit card will make your life easier if you need a good card. It has good benefits and it can be used intelligently to help you earn rewards. 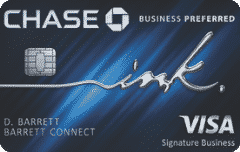 One of the smartest alternatives for you to consider will be the Chase Freedom card. Much like the ABOC Union Strong Credit Card, the Chase Freedom Card offers great rewards potential. The potential to earn rewards is actually likely much higher than the ABOC Union Strong Credit Card, too. The Chase Freedom Card can be perfect for those who have access to other Chase cards and you will have many lucrative redemption options when using the Chase Ultimate Rewards portal. 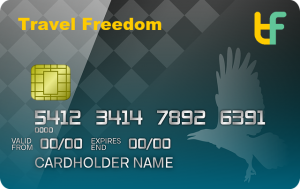 Both cards are very good, but the Chase Freedom Card may have certain benefits that will appeal to you more as well. It will be worth looking into the details of the Chase Freedom Card so that you can determine which is better for your needs. Either way, you will be getting a good rewards card that will make earning points quite easy. Earning points will allow you to make the most out of your credit card and you will always be able to earn a constant stream of rewards. The ABOC Union Strong Credit Card is going to be a good choice if you need a solid rewards credit card. It has a really good rewards program that allows you to continually earn points for your spending. The bonus categories are good and they rotate out quarterly. There is a cap on how much you can earn at the 5X rate, but it will certainly be very helpful. The Union Strong card is going to be perfect for many different people. It is among the best rewards credit card options for cards of this tier. It may not be quite as lucrative as some of the more prestigious credit cards, but it is still a very good choice. Keep it in mind if you have been looking for a great new card that is easy to use to its full potential.